A magnificent, very rare Patek Philippe 5960P-016 Annual Calendar Chronograph donated by Boodles, goes under the hammer at The Salon Privé Sale on Thursday 4th September at 6PM, with all proceeds going to the Rainbow Trust Children’s Charity. This spectacular watch is as exclusive as it is desirable – it is also one of the final pieces to be made from this production run. The watch’s RRP stands at £64,150. 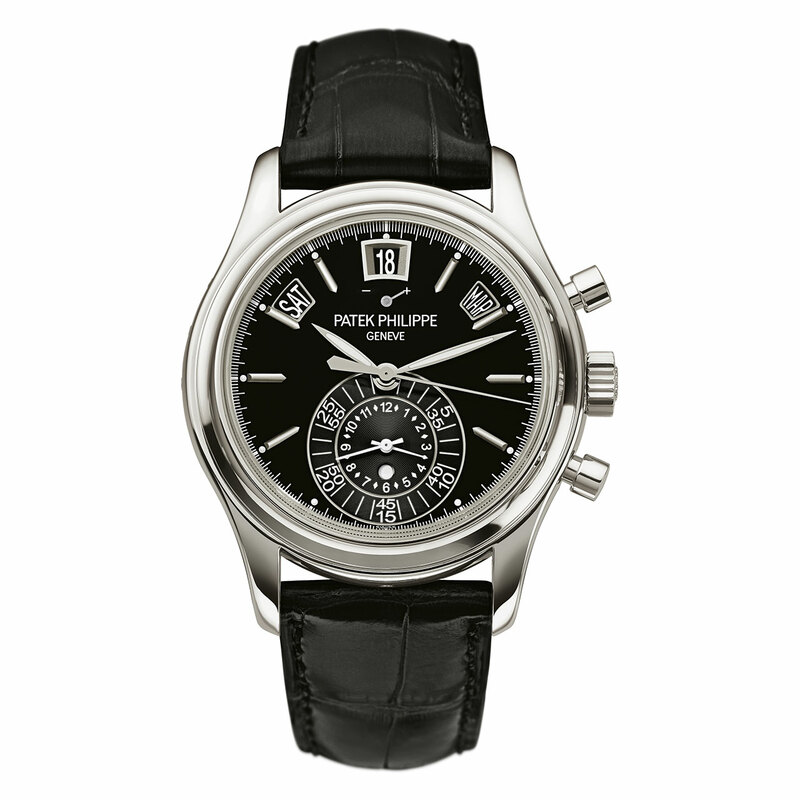 This men’s timepiece from Patek Philippe is dark and sophisticated. The watch’s case is made of platinum and features a black opaline dial that displays the standard hours, minutes and seconds indication alongside a reserve power indication located at the 12 o’clock, the watch also features date apertures, a chronograph function and day/night indication. The case back is transparent and the strap is a fine black crocodile leather with a deployment clasp. Lastly, this piece is water resistant to 30m / 100ft. Salon Privé has supported Rainbow Trust since 2010 and to date has helped raise over £650,000 for the charity. This money has helped support lots of families like Charlotte’s, whose daughter Emma was just three years old when she was diagnosed with leukaemia. The three day Salon Privé spectacular includes the Chubb Insurance Concours d’Elégance (Wednesday), Boodles Ladies’ Day and The Salon Privé Sale (Thursday), The Royal College of Art ‘Concours of the Future’ design exhibition (Thursday), The British Supercar Show (Friday), EFG Art & Luxury Fair (every day), Luxury Retail Village (every day). Salon Privé is a boutique automotive Garden Party which opens on Wednesday 3rd September with the crème de la crème of classic cars from around the world competing in the internationally-renowned Chubb Insurance Concours d’Elégance. Afternoon Tickets to Salon Privé 2014 costing just £75 are available now and can be purchased either by calling the Ticket Hotline on 0808 100 2205 or online at www.salonprivelondon.com. Full hospitality tickets are also available from £195 and include Pommery champagne, lobster luncheon, complimentary bar, English afternoon tea and full access to all areas.